Because it is found in so many different types of organisms, bioluminescence must serve many functions in the ocean. However many of the functions are still unknown, because experimental evidence has been gathered for only a few of the many proposed roles. Luminescence can serve two or more purposes, both offensive and defensive, within a single organism. 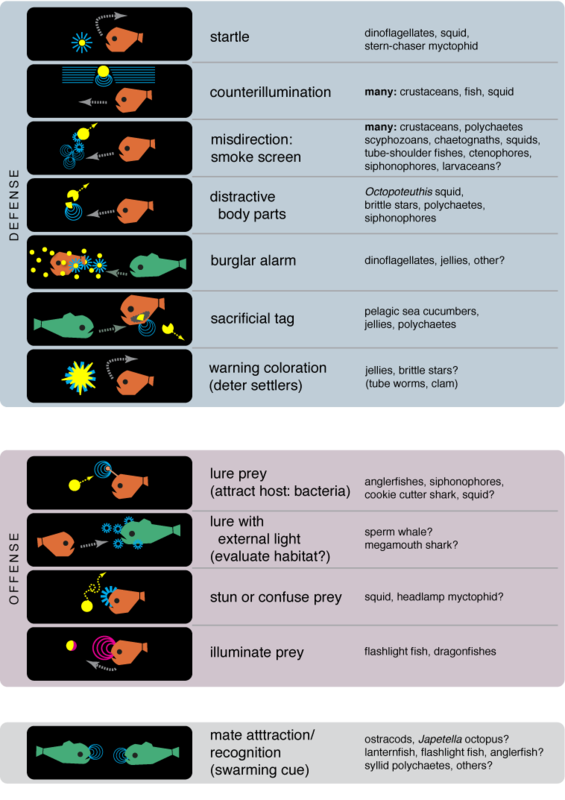 Here we summarize the range of functions that have been proposed for marine bioluminescence. For a more detailed explanation, see the reference linked below.